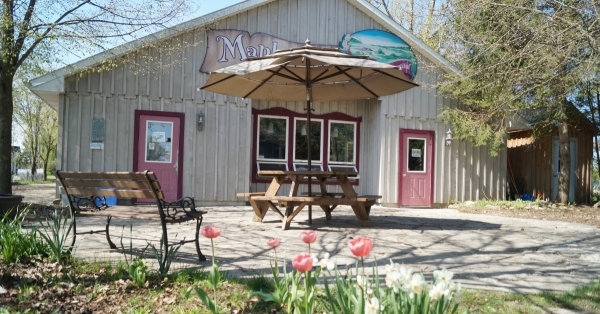 Mapleton's Organic Restaurant & Farm Store - Lunch, Ice Cream & Much More! 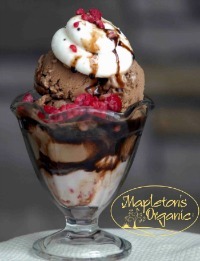 Ice cream cones are usually the most popular item but we also have sundaes and speciality drinks. 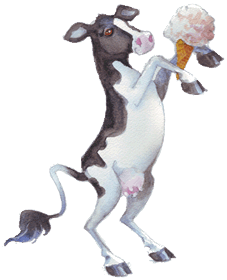 All of our ice cream sauces are made in house! 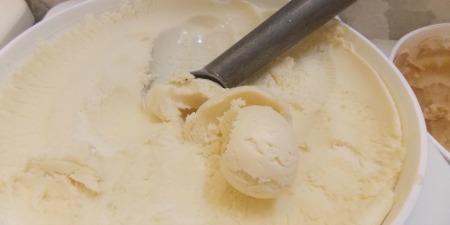 You will often find specialty ice cream flavours not available anywhere else such as seasonal favourites like dandelion, pumpkin and candy cane. Now that's worth a stop! Ice Cream & Frozen Yogurt - Take some home! Our premium ice cream, fresh and frozen yogurts are available for purchase. 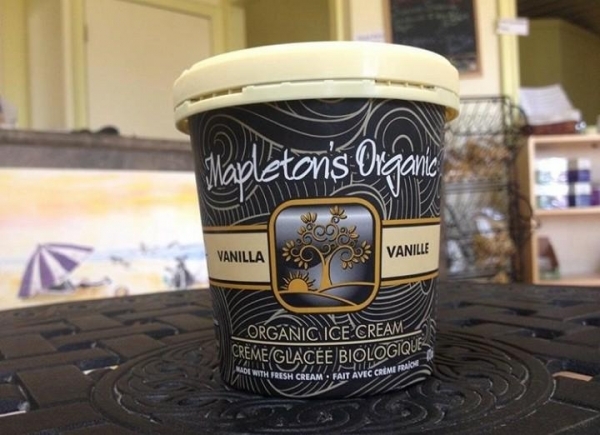 Ice cream flavours are available in larger bulk tubs at our store including 473 ml, 2 litre and 5.7 litre sizes. We recommend bringing frozen gel packs and a cooler for your purchases. 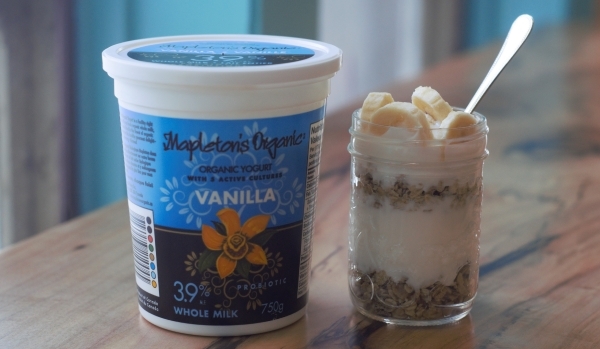 We also make yogurt and it is available at our Farm Store! 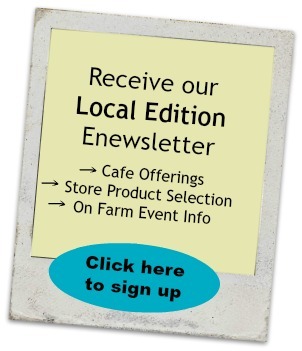 Local Pastured Meats - Beef, Pork, Chicken and more. 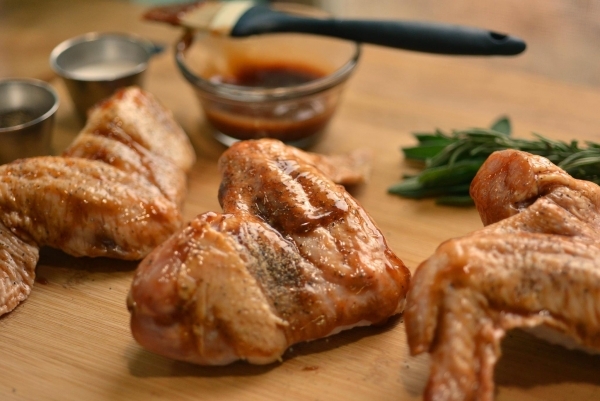 Almost all of the meats have been raised right here on the farm using organic practices. Selection and availability vary but may include sausages, bacon, steaks, roasters, chicken breasts and more. 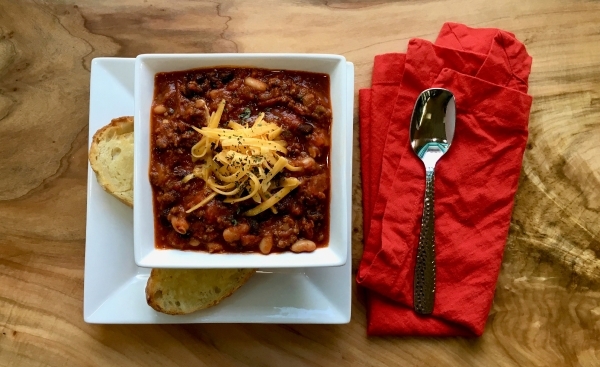 Custom orders are available and are a great way to entertain with ease or simply stock up your freezer for busy times! 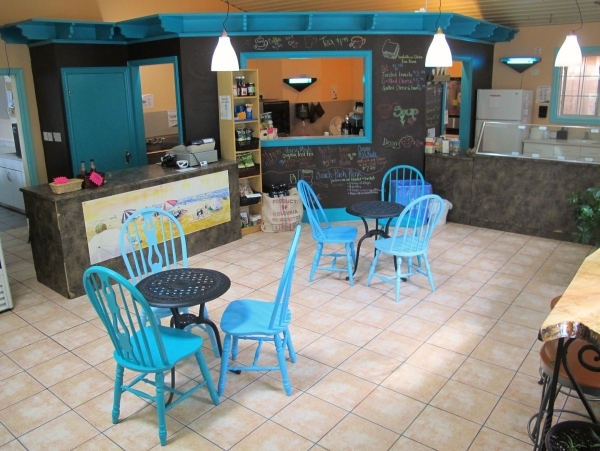 Our café offers light lunches and a variety of tasty treats. *Groups of 5 or more are encouraged to contact us in advance so that we can help serve you better. For hours of operation and directions visit our Contact page here.